The cost of 2 round trip tickets would have been over $1,000 if paid by cash! Booking the same flights were points would have cost a much more reasonable 63,436 points and $22.40. Biggest downside of these flights were that they required a stop and plane change in Denver, CO.
Just for fun, I also checked United.com to see what flights were available. When looking at available flights, I noticed that there was a one-way direct flight in business class that cost the same amount of points as a one way in economy: 50,000 miles and $11.20 for both tickets. I decided to snag two of those business class seats since our niece has never flown business class and I think she would enjoy the experience! The same flight if booked with cash would have cost $2,502 ($1251 per person)! This flight includes dinner, a comfortable lie flat seat, free alcohol, Wifi, and an electrical outlet. 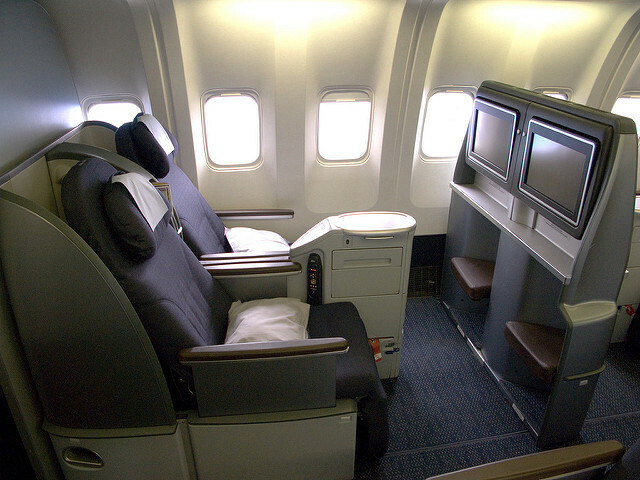 The same flight in economy class would have cost $422 ($211 per person). Snagged some great seats towards the very front of the plane! To book the flight, I transferred 49,000 Ultimate Rewards points from my Chase account into my United Airlines mileage program (I only had around 1,000 United miles in my account). The transfer was instant without any fees. Once I had enough points in my account I booked the flights. 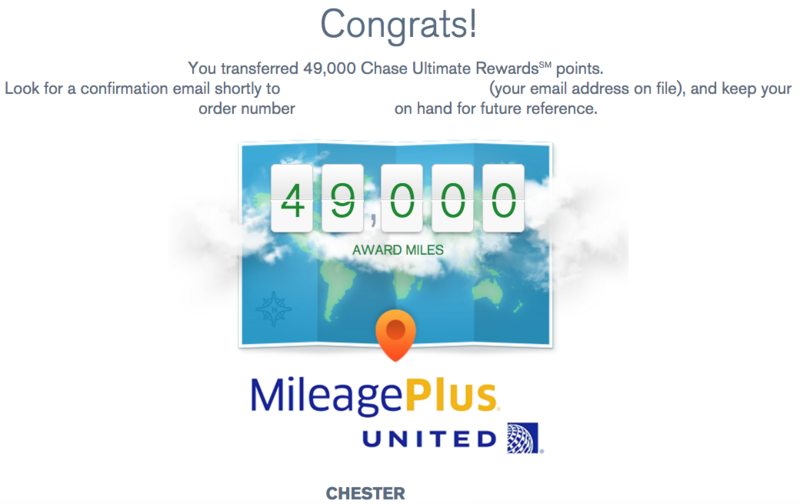 We continue to earn plenty of Chase Ultimate Rewards points from our Chase Sapphire Preferred (50,000 point sign up bonus) and Chase Ink Plus (60,000 point sign up bonus) credit cards. Both of these cards transfer points directly to chase travel partners such as United Airlines. They can't wait to spend time with this little guy! By booking the flight with 50,000 miles and $11.20, we saved a bunch of money. If we booked the flight in economy class, we would have spent $422. What are you saving your points for? You don’t always have to use your points on yourself, you can share them with a loved one by purchasing airfare or hotel stay for them.